The Colorado River starts HERE. Flowing through seven states and two countries, the Colorado is the lifeblood of the American West, with approximately 40 million people depending on its waters to meet their daily needs. 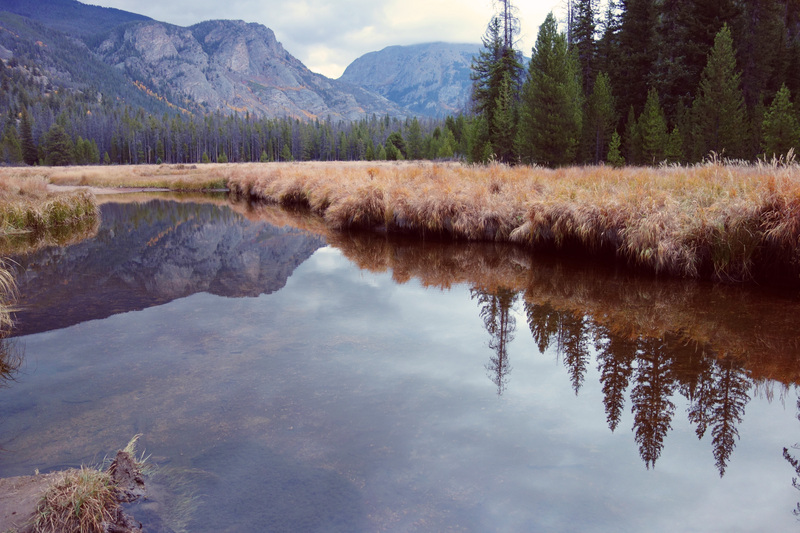 And its headwaters are HERE, in Grand County, at the heart of where we call home. A river as mighty as the Colorado is made up of far more than just the water that flows between its banks. The quantity and quality of its water depends on the health of the creeks, streams, and rivers that flow into it, and how we manage the land from which these waters drain – the land where we all live, work, and play. We need to think about the basin as a whole – from the creeks and streams that flow through both public and private land, to the Three Lakes area and smaller rivers like the Blue and the Fraser – to effectively manage the health and long-term sustainability of the Colorado. The need for a basin-wide approach to watershed management is why a group of concerned citizens formed the Upper Colorado River Watershed Group. Our goal is to provide a forum for community discussion about how to manage our shared watershed and to support local conservation efforts. We see the role of a watershed group as helping to unite the diverse stakeholder groups that depend on the river for their livelihoods while providing technical and financial resources to organizations and individuals seeking to implement restoration projects in the Colorado River basin. We’re just getting started with all that we can do to help protect the land and waters that make up the headwaters of the Colorado River, and we know that we can do so much more to help protect the quality and quantity of our water resources. But we need your help to get there. By giving to the Upper Colorado River Watershed Group, you’ll help us complete a much-needed assessment of the North Fork of the Colorado River – evaluating existing conditions, identifying potential landowner partners, documenting stable and unstable reaches, and developing recommendations for future restoration projects. This is a step toward completing our Nine Elements Plan, a basin-wide approach to watershed management. This will provide stakeholders with a view of the watershed as a whole – helping give us all an idea of the health of these interconnected streams, lands, lakes and rivers, and how we can sustainably manage our water resources to meet everyone’s needs. Watershed groups are proven to promote water quality and improve overall watershed health. We need one now more than ever to protect the resiliency of the Upper Colorado River headwaters. Give today and be a part of the movement to ensure the health of the watershed we all love for generations to come. Great question Krystal, thanks for asking! All donations will be processed through PayPal – after you enter your information on this page, you will be taken to a PayPal login. Please let us know if you have any problems and THANK YOU for your support!